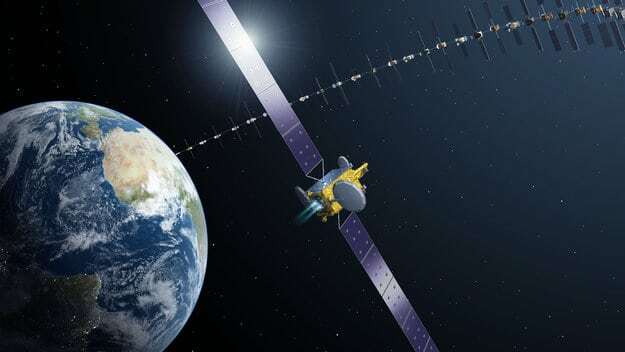 [Via Satellite 10-16-13] SES has entered a public-private partnership with the European Space Agency (ESA) for the development of a full-electric propulsion satellite platform. The partnership is part of a program called ELECTRA, which aims at developing a small- and medium-sized satellite platform, manufactured in Europe. SES is the prime contractor to ESA for the first phase of the program and is working with OHB System AG of Bremen as a subcontractor for the corresponding manufacturing design of the platform. The ELECTRA project aims to develop an innovative satellite platform that uses electric propulsion instead of conventional chemical propulsion for the transfer into the geostationary orbit as well as on orbit station keeping. The satellite platform can thus take advantage of smaller launch vehicles or dual launch capabilities, while carrying payload capabilities equivalent to current mid-sized satellites in terms of power consumption and number of active transponders. “For SES, being able to rely on all-electric satellites, in combination with innovative launch services, is becoming of primary strategic importance in order to control the intensive capital investments which are required to sustain our core business development. All-electric satellites are therefore part of the key innovation roadmap identified by SES,” said Romain Bausch, president and CEO of SES.